The Crimson Cabernet grape's parents are two of the greatest red wine grapes in the world: Cabernet Sauvignon and Norton. Truly a union of the best of the old and new worlds, our estate-grown Crimson Cabernet displays aromas of ripe blackberries, roasted herbs, cedar, violets and blackcurrants. 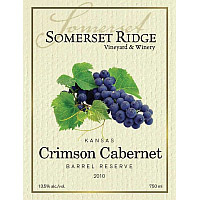 It’s a smooth and supple dry red wine boasting flavors of spice, coffee, vanilla and black fruit. 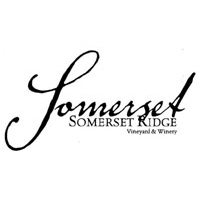 Somerset Ridge is proud to be the first winery anywhere to produce wine made from the world-class Crimson Cabernet grape.